Thank you for your interest in one of Buckeye Motor Sales's online offerings. 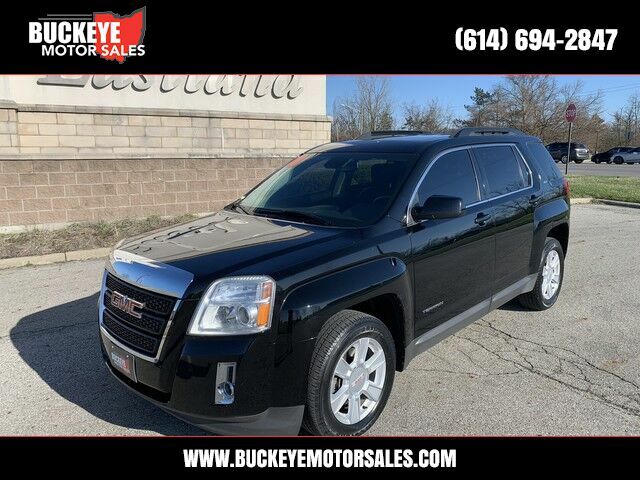 Please continue for more information regarding this 2013 GMC Terrain SLT with 85,897mi. Your buying risks are reduced thanks to a CARFAX BuyBack Guarantee. This GMC Terrain SLT has a tough exterior complemented by a well-designed interior that offers all the comforts you crave. Starting about $25,500, the 2013 GMC Terrain is one of the most affordable crossover vehicles in its class; a class that includes the Honda CR-V and Toyota RAV4. The interior features a dual-cockpit design; ice-blue ambient lighting and sophisticated, classy appearance touches that make it look much more expensive than it is.